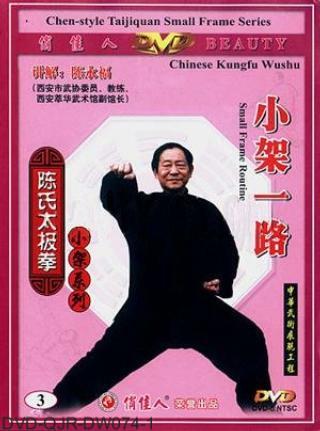 Small Frame of Chen-style Taiji Quan is regarded by its practitioners as the orthodox martial art practiced by Chen clan before Large Frame was created. Its curriculum includes many rare sets (like Long Fist Boxing); some of the movement principles differ from those taught within Large Frame. Chen Yong-fu is a member of Chen clan and disciple of Chen Li-qing, one of the main inheritors of Small Frame of Chen Style Taiji Quan. He has practiced the style since childhood and is a vice-president of Xi'an Cuihua Martial Arts School. This is the very first such comprehensive material introducing this rare branch of Chen style Taiji Quan ever released. This product was added to our catalog on Monday 28 May, 2007.